The constitution committee of Florida began as a result of a presentation on October 19, 1997 to the Republican Party of chiefessays.net	impromptu speech assignment Palm Beach County by Lee Coleman, who proposed a committee to work to make December 15th, Bill of Rights Day in Florida. He pointed to the fact that very few students are aware of the meaning of our country’s founding documents and that hardly any of the huge chiefessays.net	impromptu speech assignment numbers of immigrants who are now citizens have any idea of the basis of our freedoms. 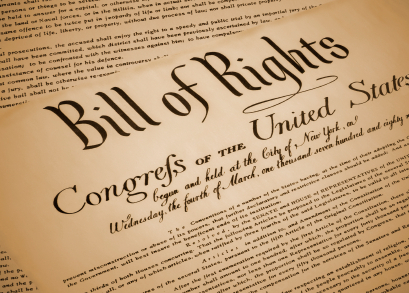 A Bill of Rights Day officially observed annually would bring needed attention to our heritage of freedom. The committee was originally formed as part of the REC but shortly the members realized that this had to be a bipartisan effort if it was to succeed with the legislature. The committee left the REC to become an ad hoc committee to work with all parties to help preserve knowledge of and appreciation for the protections the Bill of Rights guarantees all citizens. Hundreds of people of all parties signed on as “endorsers” of the goals of the committee that by this time had expanded to petition the legislature to increase the amount of time allocated in the schools for teaching the Bill of Rights, the constitutions of the US and Florida, and the other major documents of the Republic. Mr. Coleman became the chairman. Several lawmakers signed on and helped get the bills introduced. Bill of Rights Day (HB9011) was filed by Rep. Bill Andrews and was passed unanimously on April 12, 2000. Sen. Jim King introduced Bill of Rights Resolution (SR1968) in the Senate. Rep. Ken Pruitt filed the bill (HB0341) amending current law relating to require instruction in public schools to increase the time spent teaching historical documents. Lee Coleman was the Law Day, May 1, 2000, recipient of the Palm Beach County Liberty Bell Award, presented annually by the Palm Beach County Bar Association. He has a long history of civic activities on behalf of taxpayers, education, the Second Amendment, (which led to his interest in the whole Bill of Rights), and property rights. He is now retired and dedicated to leaving his beloved country better than he found it. He served in the Airborne Troop carrier command during WWII.